More than 80 community and environmental groups are writing to the local government minister, Kevin Stewart, pleading for equal rights of appeal. It is “unfair and inequitable” that developers can appeal when they are turned down but local communities cannot, they say. In recent years developers have repeatedly appealed against councils that have rejected their plans for incinerators, housing estates, quarries, wind farms and a host of other projects. But communities that lose out have no such rights, leading to accusations that they are disempowered. The first stage of the Scottish Government’s planning bill is due to be debated at Holyrood on 29 May. Campaigners are hoping that, with the help of opposition parties, they can persuade ministers to drop their objections to equal rights of appeal. One of the 86 signatories of the letter to Stewart is the well-known Scottish historian, Sir Tom Devine, an emeritus professor at the University of Edinburgh. He has spoken out against plans for a new housing estate at Jellyhill in Bishopbriggs. “The current planning process is seriously flawed as it clearly advantages the developer over the rights of the local community at the appeal stage,” he said. Other signatories include community councils, local action groups and major wildlife organisations such as the Royal Society for the Protection of Birds and the Scottish Wildlife Trust. “There is a significant lack of public confidence in planning,” the letter says. The letter says that people feel “disempowered and disregarded”. The lack of a community right to appeal against damaging developments “is viewed as one of the most unfair and inequitable aspects of planning,” it argues. One signatory, Friends of the Earth Scotland, pointed out that communities often struggled to get their voices effectively heard. “Those who do engage are all too often left bruised by the experience and wondering why they bothered,” said the environmental group’s head of campaigns, Mary Church. The letter – published today by The Ferret – was co-ordinated by the campaign group, Planning Democracy. “If big developments are foisted on disempowered communities, then the fabric of our communities suffers,” said the group’s chair, Clare Symonds. 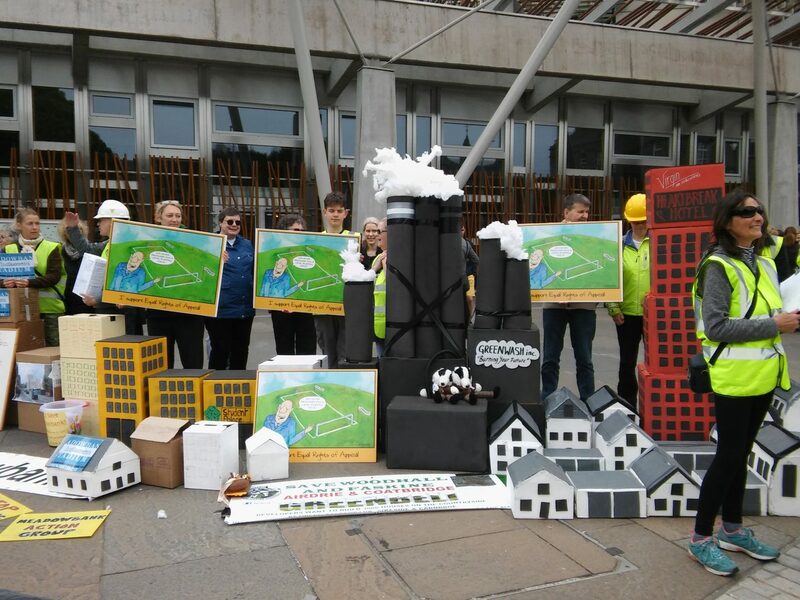 A recent report from the Scottish Parliament’s Local Government and Communities Committee urged ministers to redress the current “imbalance” by restricting developers’ appeal rights. Scottish Labour has backed equal rights of appeal and called for a “more balanced” system. “Planning appeals should be the exception in a plan-led system but if appeals are to remain a feature, communities should have rights too,” said the party’s communities spokesperson, Monica Lennon MSP. Developers, however, are lobbying against the idea. “There is no question a third party right of appeal would make it harder to build the homes that Scotland needs,” said Tammy Swift-Adams, director of planning for Homes For Scotland, which represents building firms. The Scottish Government reiterated its concerns. “A third party right of appeal would be likely to add time, complexity and conflict into the process, centralise decisions, undermine confidence and investment in the homes and jobs our communities need,”’ said a spokesperson. Shore Energy applied for permission to build an energy-from-waste plant at Carnbroe in Monklands in 2009. The application was rejected by North Lanarkshire Council in 2010 but then overturned by the Scottish Government in 2011. The council appealed twice to the Court of Session, but eventually lost in 2013. Cala Homes applied for permission to build 135 houses by a canal at Jellyhill in Bishopbriggs in January 2017. Some 569 people objected – including the well-known historian, Tom Devine – and the plan was rejected by East Dunbartonshire Council in September 2017. But after an appeal it was given the go-ahead by the Scottish Government in February 2018. The quarrying firm Pattersons has made three applications to extract sand and gravel from the banks of the river Clyde near Tinto hill since 2009. The first was rejected by South Lanarkshire Council, the second by the council and then by the Scottish Government and the Court of Session on appeal. A third application has also recently been turned down by the council. Two US property developers applied for permission to build a golf course on a wildlife area at Coul Links near Embo to the north of the Dornoch Firth in September 2017. There is some local support but widespread opposition from conservation groups. The application is due to be considered by Highland Council in June. A property developer’s application for permission to build 16 homes at Viewhill near Inverness – and the historic site of the 1746 battle of Culloden – was rejected by Highland Council, after opposition from residents and the National Trust for Scotland. 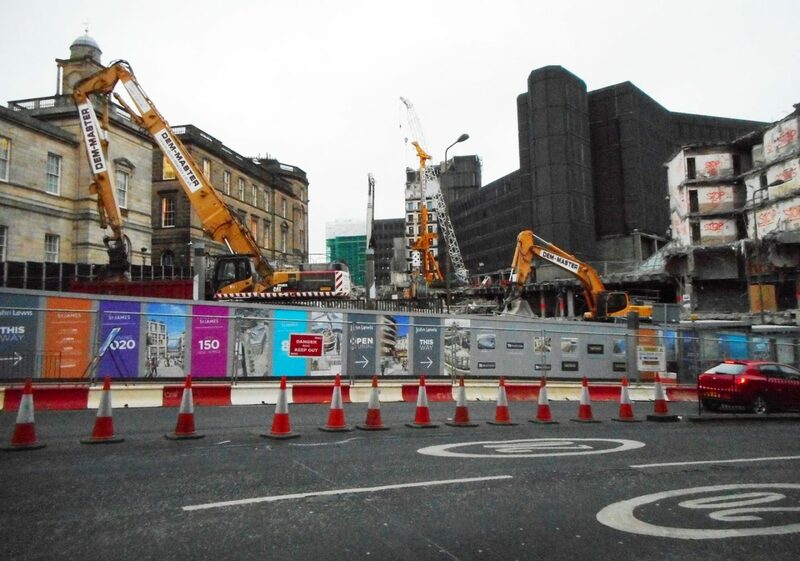 But this was overturned by the Scottish Government in 2014, and an amended proposal by another developer was given the go-ahead by the council in May 2018. Photos thanks to Richard Sutcliffe, licensed for reuse under this Creative Commons Licence, and Planning Democracy. A version of this story was published in the Sunday Herald on 27 May 2018.